While Destiny 2 got off to a rocky start last year, it has been turning things around over the last few months. That turnaround is in no small part to the fact that many of the fan-requested features and improvements were implemented in the last expansion, Warmind. 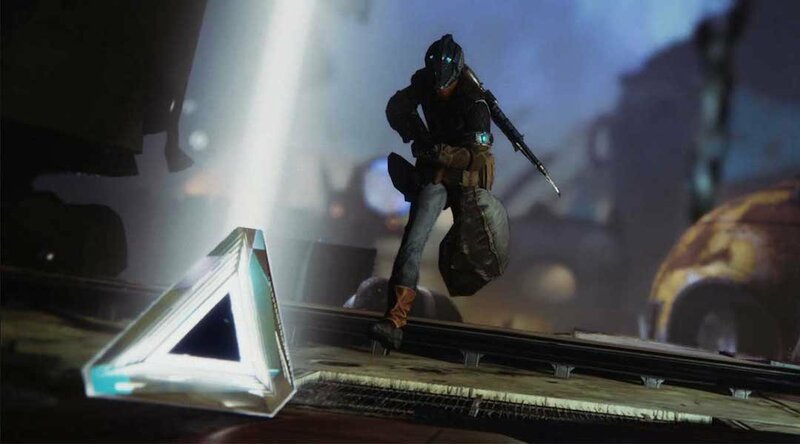 While many fans have remained loyal throughout the games growing pains, Warmind definitely seems to have gotten things back on track for many players. But Bungie isn’t content to sit around on their laurels and leave well enough alone. As the team prepares for the launch of the third expansion known as Forsaken, they’re ready to ring in year two of Destiny 2 with some brand-new weapons and a new mode that combines PvP and PvE. We got a chance to sit down with Destiny 2: Forsaken’s project lead Scott Taylor to get the inside scoop on all the brand-spanking-new goodness. Mr. Taylor lays out the finer details of the new PvPvE mode, Gambit, and talks about the latest weapon to the guardians’ arsenal, the bow and arrow. Gambit mode will pit two teams in their own killing fields where they’ll compete to take out AI enemies and fill up a tank with energy before the other team can. Bonus modifiers for depositing certain amounts of energy can allow teams to lock their opponents' energy tanks for a small amount of time, send over special enemies, or even open a gate to the opposing team’s field for a team member to jump through and attempt to hinder their progress. Taylor goes into more in-depth details and lays out everything fans can expect from Gambit mode when Destiny 2: Forsaken finally launches. You can check out the video below for all fine details. Destiny 2: Forsaken is set to launch on September 4 and launch the game into its year two content on PS4, PC, and Xbox One. I've never fought the same 4 factions over and over with ever increasing health bars before? Heh. Glibness aside, adding a little Dark Souls spice to a Destiny cooperative/competitive mode is a pretty neat idea.